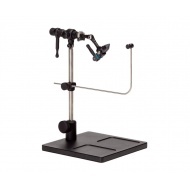 The Renzetti Special Edition Master Vise with C-Clamp and Lap Extension offers the tyer the sam.. The Renzetti Special Edition Master offers the tyer the same standard features as the Master Series .. The Master True Rotary Vise is so named because it does it all. Featuring a patented jaw m.. 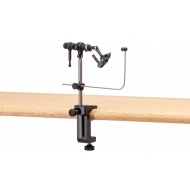 The Renzetti Presentation True Rotary 4000 Vise is perfect if your tying needs require a v.. The Presentation True Rotary 2300 Vise offers the tyer some of the best features of our vi.. The Presentation True Rotary 2300 Vise with C-Clamp offers the tyer some of the best featu.. The Renzetti Traveler 2300 True Rotary Vise is for those that just want the latest Renzetti can.. The Renzetti Saltwater Traveler 2200 Right Handed Pedestal Vise is one of the very best vises f..